The Port Adelaide branch of Accuweigh supplied 75 sets of compact bench scales to Adelaide Mushroom Farms for weighing mushrooms into cartons. Accuweigh’s compact bench scales are used by pickers in the growing rooms, which maintain very high humidity levels to suit the mushrooms. Pickers fill a carton placed on the compact bench scale to the required 5kg of mushrooms until each room has been completely harvested. 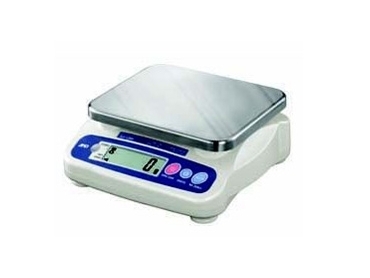 Designed to perform in high humidity environments, the lightweight A&D SJ compact bench scales are ideal for portable weighing applications. Accuweigh operates branches Australia wide providing sales and service support on compact bench scales, hanging scales and all industrial weighing applications.